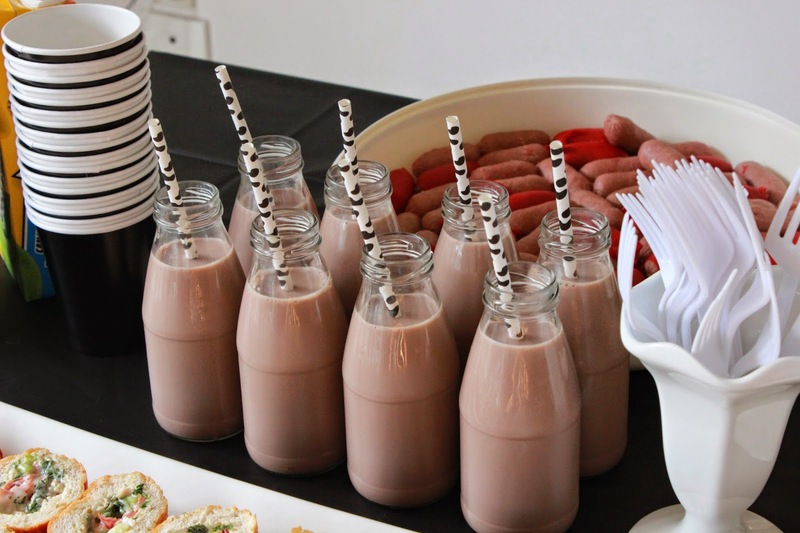 SAHM I am- Stay At Home Mum: It's a Cow Party! 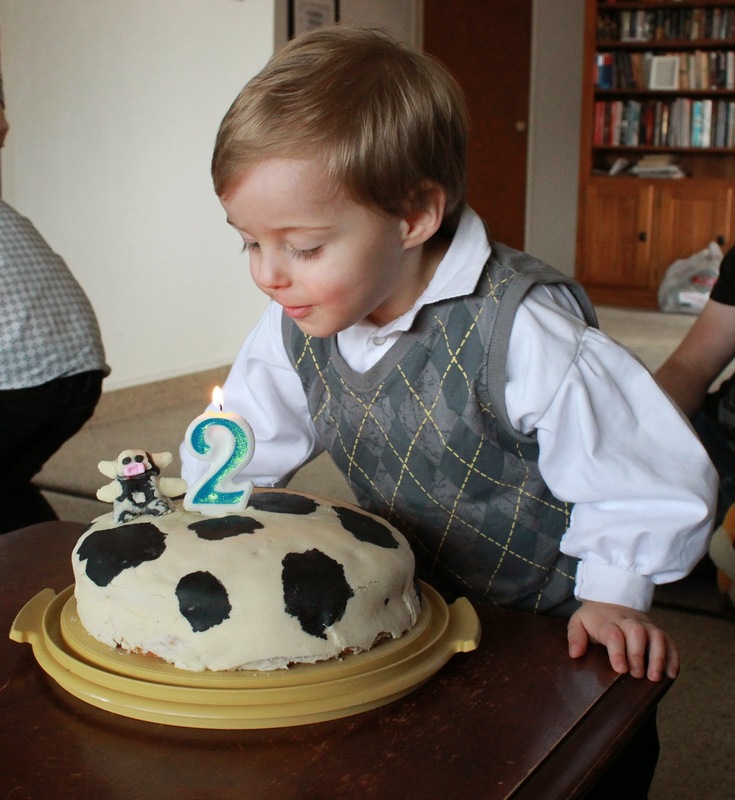 When I asked Adam what type of cake he wanted for his second birthday, he answered "cow". This request was repeated numerous times so I decided to go with a Cow theme for his second birthday. His party was rather low key compared to my last few parties, as a lot of people couldn't make it due to other commitments. 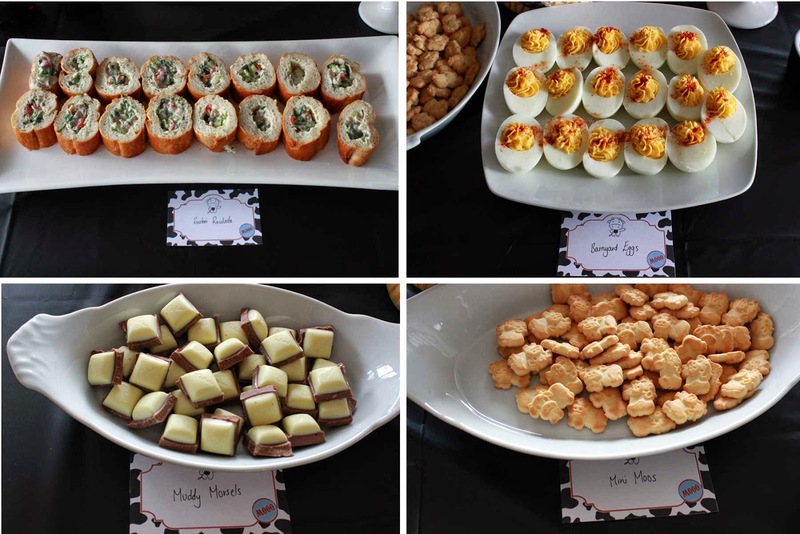 However, I forged ahead and put together a party that I can be proud of! The first step was preparation. 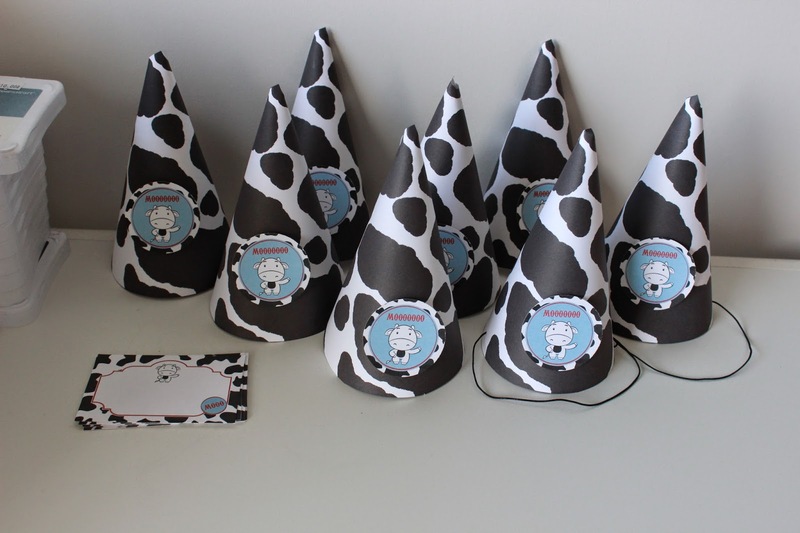 I used this template and these printables to create my own cow party hats and food labels as I could not find any to purchase. The table and decorations were kept minimal, with mostly items I had let over from other parties. 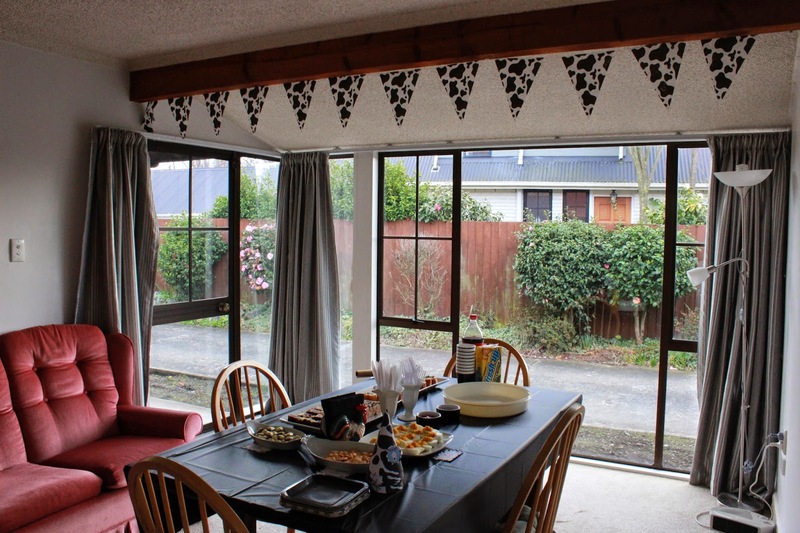 I could have brought all cow print items, but I had a lot of plain black and white items left over from previous parties so I used them and just added touches of cow print with items such as a cow print banner. I used black plates, black and white plates, black cups, white cups, black napkins and a black tablecloth. 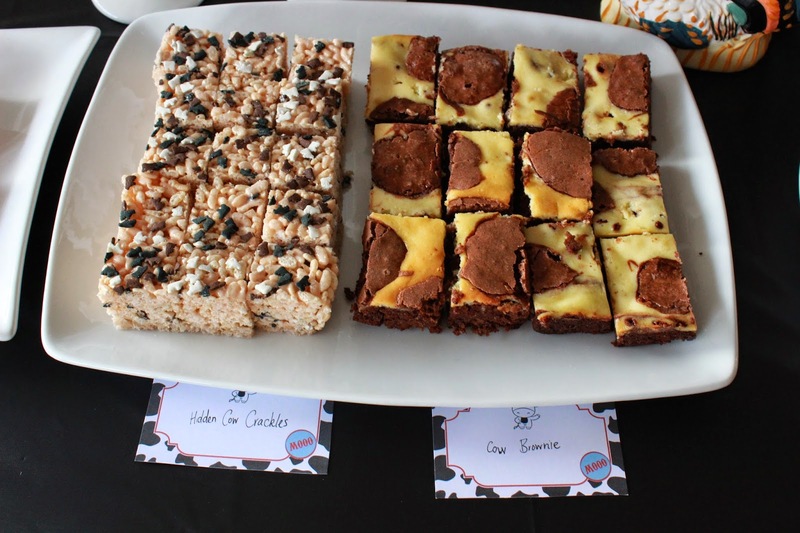 Cow Sprinkle Rice Krispie Treats- this recipe but with cow sprinkles! Cow Brownie- I used my no fail brownie recipe and then added some cream cheese beaten with egg, 1/3 cup sugar and 1 teaspoon vanilla essence on top, then added blobs of the leftover brownie mix to create a cow print pattern. 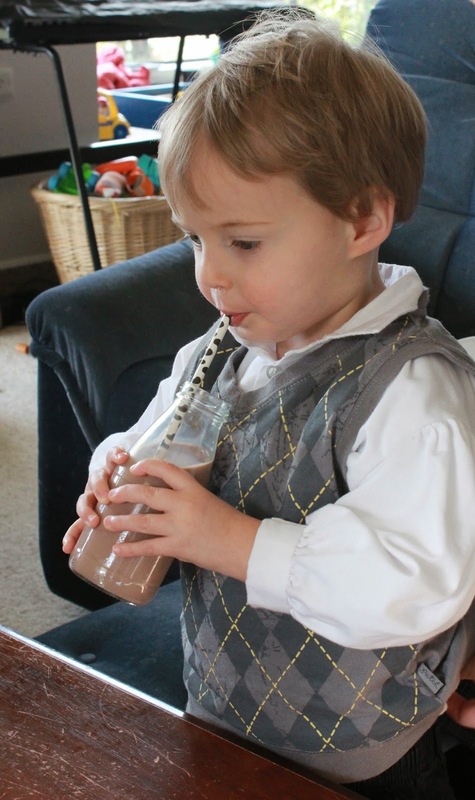 For drinks, I used some cow print straws and milk bottles from Sweet Pea Parties and added some chocolate milk. The kids loved drinking out of these! 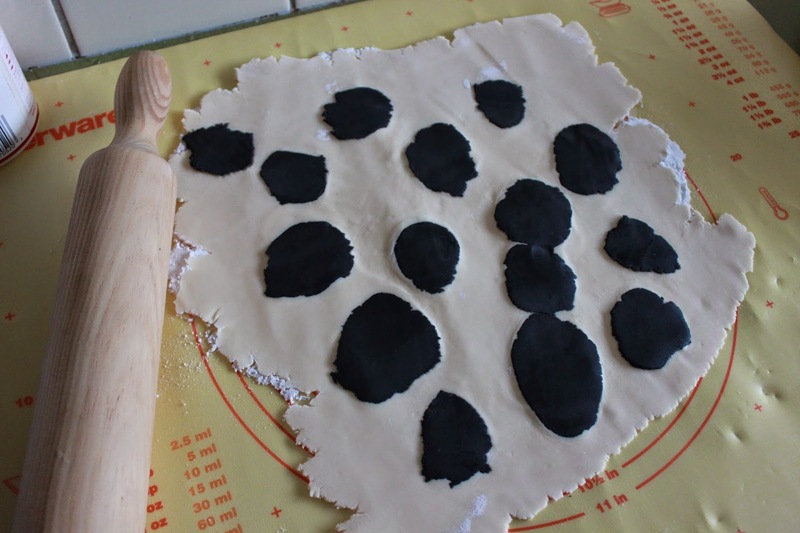 As part of my Pinterest Resolutions, I attempted a cow print cake. First, I made two standard vanilla cakes using this recipe. I reserved 1/2 cup of the batter from each cake mix and to this I added a squirt of black liquid food colouring and 2 tablespoons of siftied cocoa powder. 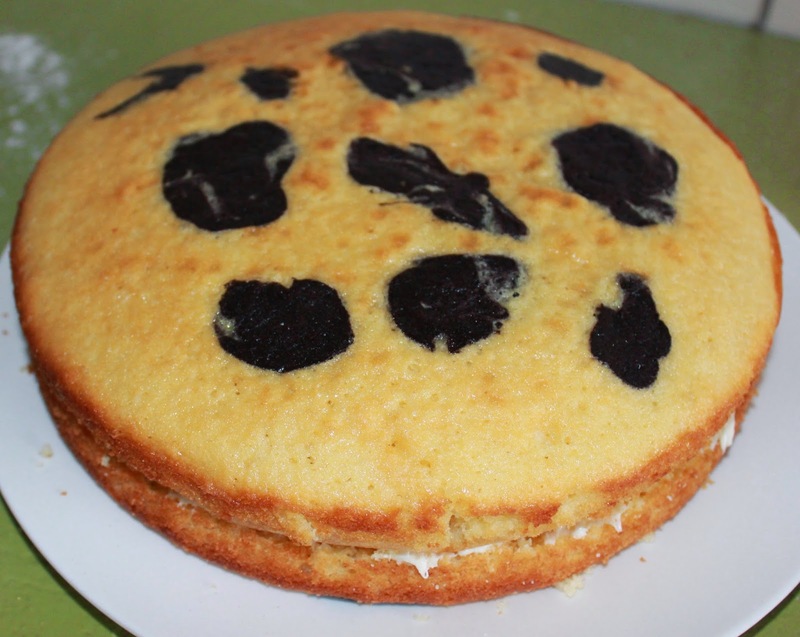 Then I used a piping bag and a Wilton donut tip to inject black blobs into the cake mixture before I baked it. The cake came out looking like this. I had a bit of trouble with the fondant cracking, and my fondant cow looked more like a starfish, but the end reuslt was amazing in Adam's eyes! I was very happy with the inside of the cake- it turned out exactly as planned. The cake was moust and delicious too. 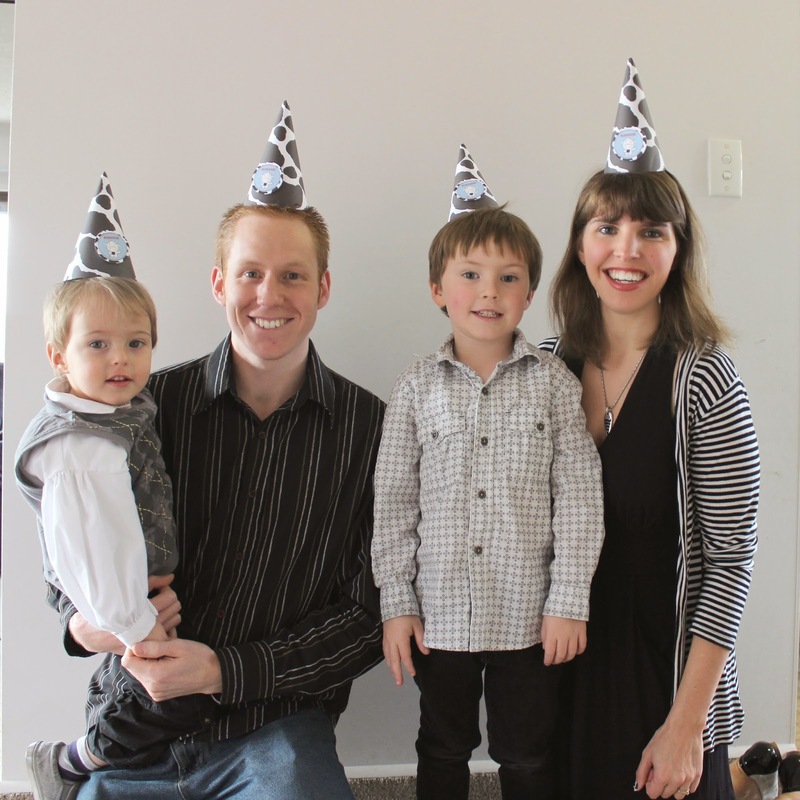 At the end, we had a very happy two year old and a great family memory. Linking up with Show and Tell and Kitchen Fun and Crafty Friday. So creative! 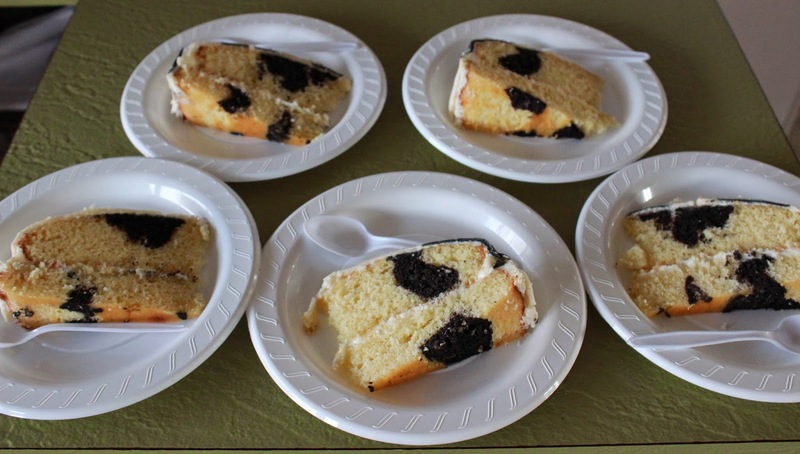 I love seeing how you did the cake and it doesn't look too hard... so neat that it had black patches inside it, too!